With the Apex 350, the low-profile design coupled with the fast-action keys allows the user to react more quickly, gaining a competitive edge. 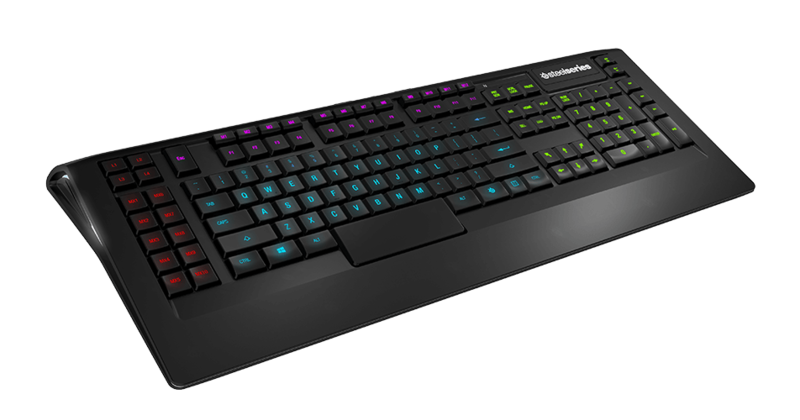 SteelSeries Engine 3 has you covered when it comes to customizing lighting across 5 zones, macros, and more. 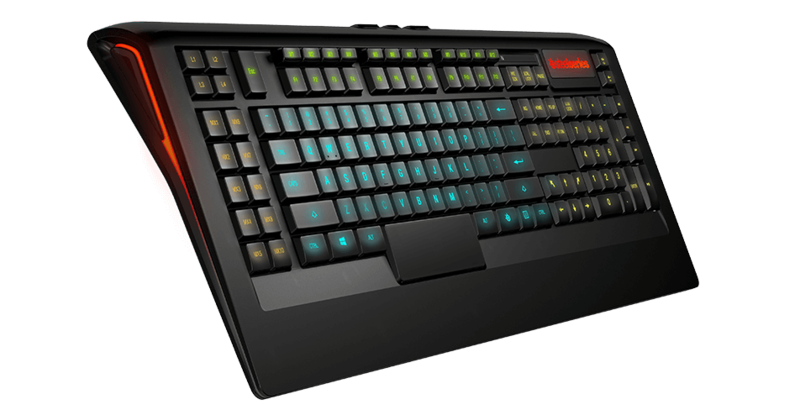 The combination of 16.8 million color illumination, low-profile keys and sleek lines come together giving Apex 350 beautiful form and optimized function. 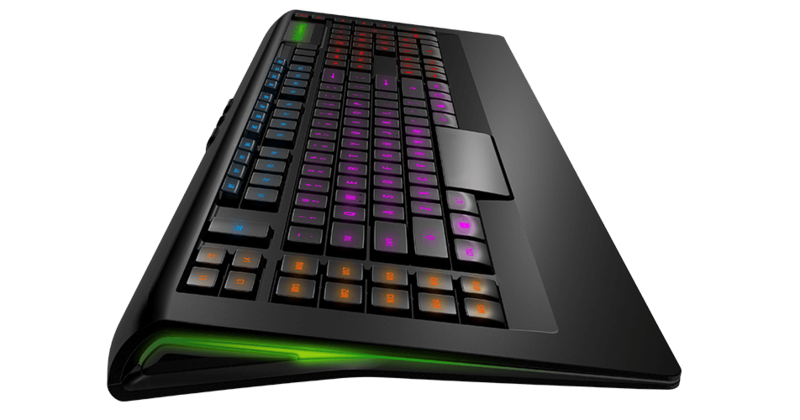 The Apex 350 is a low profile membrane gaming keyboard with customizable RGB illumination zones, two USB ports, media keys, custom macros, and swappable feet, perfect for gamers who want a premium RGB keyboard at an affordable price. How do I know if the Apex 350 is the right gaming keyboard for me? Great question! The Apex 350 is the perfect gaming keyboard for gamers who want a a quality membrane switch, full RGB illumination, and a low-profile layout. 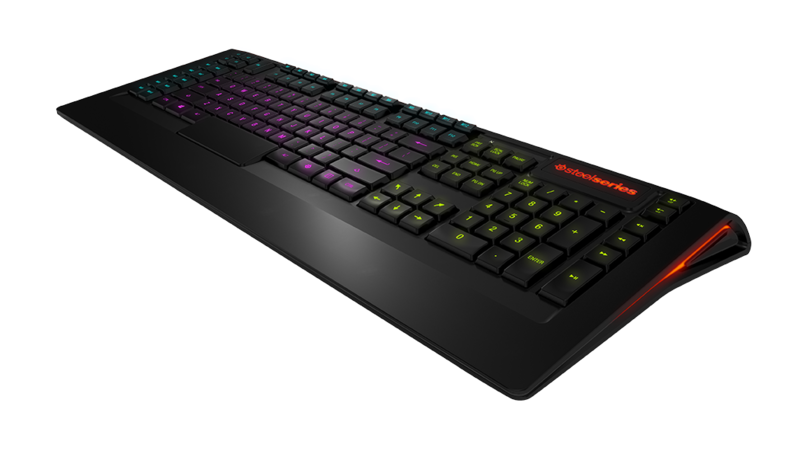 Alternatively, you can use our interactive keyboard guide, and compare the Apex 350 with our other gaming keyboards here. Which versions of the Apex 350 use the QWERTY layout? Which versions use the AZERTY layout? The only language that does not use the QWERTY layout is the French version, which uses AZERTY layout. Can I get replacement keys for my Apex 350? Absolutely, we can ship replacement keys out if needed. Does the Apex 350 have a key on it that is equivalent to the command key on a Mac? No, unfortunately the Apex 350 does not have a replacement keycap for the command button.